From the New York Times: Reva Siegel (Yale Law School) on the future of legal abortion: "With Justice Anthony M. Kennedy’s retirement, we are now at the moment of reckoning." From the Washington Post's "Made by History" section: Mary Ziegler (Florida State University College of Law) on "The Supreme Court's Big Abortion Hypocrisy"; Brian Rosenwald (Fox Leadership Program, University of Pennsylvania) on the implications of Justice Kennedy's retirement ("The Conservative Revolution"); KC Johnson (Brooklyn College/CUNY Graduate Center) on the same; Joseph Hower (Southwestern University) on how the Supreme Court's decision in the Janus case guts the modern labor movement; Elizabeth Tandy Shermer (Loyola University, Chicago) on the political significance of the Janus dissent; Paul A. Kramer (Vanderbilt University) on family reunification as a cornerstone of U.S. immigration policy; Allyson Hobbs (Stanford University) and Ana Raquel Minian (Stanford University), both historians of race, detention, and migration, on their "firsthand look" at an immigration detention center in Texas; and much more. From We're History: William S. Bush (Texas A&M) and David Tanenhaus (William S. Boyd School of Law, UNLV) on "Moral Panic: How We See Other People's Kids as Criminals." If you appreciate nice letterhead, check out "Stationary Empire: Letterhead, crests & ink stamps from across the British Empire, mostly relating to law" (by blogger MS). 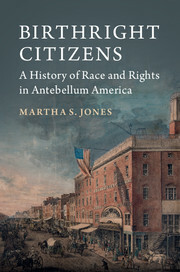 Martha S. Jones, Johns Hopkins University, is in conversation with Lisa Crooms-Robinson, about Professor Jones’s book, Birthright Citizens: A History of Race and Rights in Antebellum America, at Politics and Prose Bookstore, 5015 Connecticut Ave., NW, Washington, DC, on Sunday, July 8 at 1:00 PM. Tonight at 10:45 pm, C-SPAN 3 airs the discussion, held in Supreme Court chamber and co-hosted by the Supreme Court Historical Society and the John Simon Guggenheim Memorial Foundation, between Randy Barnett, Georgetown University, and Richard Primus, University of Michigan, on interpreting the U.S. Constitution. Judge Patricia Millett moderates and Supreme Court Justice Ruth Bader Ginsburg provides an introduction (and asks about Loving. "The Honourable Rosalie Silberman Abella, Justice of the Supreme Court of Canada, will deliver Chautauqua Institution’s 14th annual Robert H. Jackson Lecture on the Supreme Court of the United States, on Wednesday, July 25, 2018, at 4:00 p.m. in Chautauqua’s Hall of Philosophy." H/t: John Q. Barrett's Jackson List. ICYMI: Recent assessments of the Supreme Court's attempt to distinguish Korematsu from Trump v. Hawaii, include Joseph Fishkin at Balkinization and Eric Muller at the Faculty Lounge. And here's the History Channel's take. Also The Preservation Battle of Grand Central, in Smithsonian Magazine and the New York Times on Rosa Parks's arrest warrant. We’re assuming that "Successful Public Governance," a new book series at Edward Elgar, is aimed mostly at scholars fo public administration, but it is of interest to historians as well. The Series Editors are Paul ‘t Hart, Utrecht University, and Tina Nabatchi, Syracuse University. Societies can only have a serious shot at thriving when they are governed through public institutions that are trustworthy, reliable, impartial, and competent. Yet in the first decades of the 21st century, governments and public institutions worldwide have been challenged by deep and fast changes in their operating environment. There is therefore an urgent need for concepts, designs, and practices for successful public governance, which this groundbreaking new book series will seek to present. Conceptualizations and critiques of the notion and ideal of ‘success’ in public sector and political settings. Methodological strategies for designing and conducting ‘positive’ evaluations of public policies, organisations, networks, initiatives, and other forms of public governance. Empirical studies that provide close-up, comparative, experimental, and large-n/big data research identifying, describing, explaining, and/or interpreting highly effective, highly adaptive, highly democratic, highly reputed, highly resilient public governance institutions and practices. Pleas, proposals, designs giving ideational accounts of ‘what should and might be’ when it comes to successful public governance. 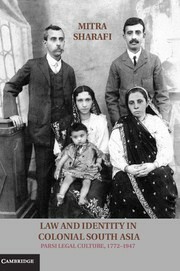 The Series Editors welcome contributions from scholars across the social sciences and law, tackling a wide range of governance phenomena including levels of governance, governmental and non-governmental settings, and formal and informal institutions and practices, and employing the full range of methodological approaches. Books in the series should advance scholarly debate, and/or be usable as advanced texts for (post)graduate students. Relatively compact (70-80.000 words) manuscripts are preferred, though persuasive proposals for longer manuscripts will also be considered. 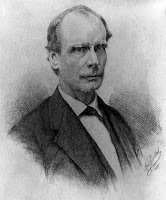 In a recently published article, Chief Judge James S. Burns (retired) contends that the Hawaiian Crown Lands were owned by all the people of Hawai'i. and were not held in trust for Native Hawaiians as Professor Jon Van Dyke argued in his book, Who Owns the Crown Lands. Although this author, as with many others, takes issue with the research and conclusions of that article, this Article focuses upon the larger issue of the reliance on the Supreme Court of the United States’ jaded recitation of Hawai'i’s complex political and legal history. The article specifically relies upon two Supreme Court opinions, Rice v. Cayetano and Hawai'i v. Office of Hawaiian Affairs — two politically charged cases that dealt large blows to the Native Hawaiian community particularly because of the Court’s skewed views of Hawai'i’s past. Native Hawaiians, like most indigenous people, are faced with a legal system that rarely recognizes their stories and their histories. Due in large part to the enshrined principle of stare decisis, Native Hawaiians have been left with a less than adequate narrative of their legal and political history that has ramifications for other indigenous and marginalized communities across the United States. The Court’s narrative is oftentimes then interpreted, particularly by jurists and legal practitioners, as the “official” history of a people. This Article criticizes the Court’s writing of Hawaiian history in its opinions and also the re-writing of history and silencing of Native voices that occurs when jurists and practitioners blindly adhere to “precedent.” This Article demands careful use of history when analyzing complex issues involving Native Hawaiians, and provides methods for ensuring an accurate recitation of history. This Article analyzes President Barack Obama’s legacy for an indigenous people — nearly 125 years in the making — and how that legacy is now in considerable jeopardy with the election of Donald J. Trump. This Article is the first to specifically critique the hallmark of Obama’s reconciliatory legacy for Native Hawaiians: an administrative rule that establishes a process in which the United States would reestablish a government-to-government relationship with Native Hawaiians, the only indigenous people in America without a path toward federal recognition. In the Article, Obama’s rule — an attempt to provide Native Hawaiians with recognition and greater control over their own affairs to counter their negative socio-economic status — is analyzed within the historical and political context of a government coy to live up to its reconciliatory promises. The Article analyzes past attempts to establish a government-to-government relationship and considers new avenues for reaching this end. The Article concludes that although the rule brings the federal government closer to its ideals of justice, it does not go far enough to engender true social healing, specifically because of the uncertainty that the rule will be followed by a conservative Trump Administration that will likely be hostile toward Native Hawaiians and other indigenous communities. The "equity of redemption" is an equitable doctrine undergirding the law of secured lending in the common-law world. It holds that despite any legal forms to the contrary, a borrower remains the true owner of pledged/mortgaged property, with a right to redeem such property upon payment of principal, interests, and costs at any time until a court of equity forecloses a borrower’s interest. 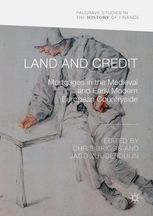 This doctrine originated in the English Court of Chancery in the early-modern period, and coincided with a significant expansion in the use of mortgages. This chapter explores why the equity of redemption arose. It does so by situating the doctrine in the social context of its origin in early modern England. It shows that several traditional explanations for the doctrine, such as the Chancery offering programmatic support for the landed classes, or seeking to capture jurisdiction and increased business and fees from the common-law courts, or intentionally providing a counterweight to the weak bargaining power of mortgagors, are likely misunderstandings. Instead, primary sources suggest that the doctrine is best understood as judicial enforcement of social norms related to mortgage debts in preference to legal technicalities; the equity of redemption was enforcement of “real-world” expectations over legal rights. Why the equity of redemption arose is therefore because it was the most obviously “fair” or intuitively “reasonable” way to address mortgage forfeiture at the time. The equity of redemption was the layman’s response to mortgage forfeiture rather than the lawyer’s. This volume is a tribute to the work of legal and social historian and Arabist Rudolph Peters (University of Amsterdam). Presenting case studies from different periods and areas of the Muslim world, the book examines the use of legal documents for the study of the history of Muslim societies. From examinations of the conceptual status of legal documents to comparative studies of the development of legal formulae and the socio-economic or political historical information documents contain, the aim is to approach legal documents as specialised texts belonging to a specific social domain, while simultaneously connecting them to other historical sources. It discusses the daily functioning of legal institutions, the reflections of regime changes on legal documentation, daily life, and the materiality of legal documents. Contributors are Maaike van Berkel, Maurits H. van den Boogert, Léon Buskens, Khaled Fahmy, Aharon Layish, Sergio Carro Martín, Brinkley Messick, Toru Miura, Christian Müller, Petra M. Sijpesteijn, Mathieu Tillier, and Amalia Zomeño. We analyze the effects of the Married Women’s Property Acts and Earnings Acts (EAs) on divorce rates in the late-nineteenth- and early-twentieth-century United States. We find that the property acts increased divorce rates, which is consistent with the predicted outcome, in household extensive bargaining models, of an increase in the married woman’s relative bargaining power. We also find some evidence that the EAs had a positive effect on divorce rates, though it is not statistically significant after accounting for the possibility that divorce rates changed prior to the enactment of an EA. To support our causal argument, we control for regional trends in the divorce rate and account for the timing of the laws’ effects. We also assess alternative explanations for the rise in divorce rates during the late nineteenth century, including age structure, divorce law, urbanization, economic development, and foreign immigration, and we find that only age structure and urbanization positively affected divorce rates along with the property acts. Finally, we provide support for our argument from court cases in which the acts were used to defend a woman’s property rights against claims from her ex-husband. As you well know, early legal records are rich resources for historians, genealogists, educators, and the public. They document the activities of daily life and the evolution of our legal system. They deepen our shared understanding of our social, cultural, economic, and political past. In some instances, they may provide the only evidence of the very existence of past individuals from all backgrounds. Many of you have relied on the works produced by past grant projects funded by the NHPRC over the decades, such as the publication of the early court records of Plymouth County, Massachusetts or the papers of Chief Justice John Marshall or (more recently) the digitization of 18th-century court records in Virginia, among others. At our meeting earlier this month, the National Historical Publications and Records Commission, chaired by Archivist of the United States David S. Ferriero, decided to seek to fund projects that will preserve and make early legal history records collections easier to find and access. Projects dealing with early legal records may include, but are not limited to, court records, hearings, and related activities. What constitutes “early” will differ by each jurisdiction, and we welcome applications from all parts of the nation. The NHPRC is encouraging applicants to make the case for the importance of particular groups of early legal records in their proposals. More information concerning the Commission’s interest in early legal records and these grants can be found at [this link] on new grant announcements for Access to Historical Records: Archival Projects (Optional draft deadline August 3, 2018) and Access to Historical Records: Major Initiatives FY2020 (Preliminary proposal deadline, January 17, 2019). The Commission recognizes that the rapidly approaching deadline provides less time to prepare draft proposals for the Archival Projects category. Don’t let that discourage you from trying. If you have a large-scale, collaborative project, please consider putting together a preliminary proposal by next January. Because the Commission recognizes that the need in this area is great, you can be assured that this is a direction that our grants programs will follow for some time going forward. Answers to questions about the grants programs and the NHPRC staff contacts may be found in the individual grant announcements online. Please feel free to post news of this announcements with your institutions and in places where legal history news may be read, as well as with any affiliated organizations that may find this of interest to its members. Professor Jones's op-ed on protesting NFL players may be accessed via the SLH website. Endorsements after the jump. Among the structural provisions of the Constitution are a series of rules specifying the method by which the federal government will be staffed. One of those rules, contained in what is known as the Appointments Clause, establishes the procedures for appointing “all . . . Officers of the United States, whose Appointments are not . . . otherwise provided for” in the Constitution—requiring one mechanism (presidential appointment and senate confirmation) for “principal” officers and permitting a set of alternatives (appointment by the “President alone,” the “Courts of Law,” or the “Heads of Departments”) for “officers” who are considered “inferior.” The Clause has traditionally been understood to require these appointment procedures for a subset of federal government employees who meet some constitutional threshold that establishes their status as “officers,” rather than for all federal employees. In light of that understanding, the Clause naturally raises a question about the precise boundary between constitutional “officers” and other federal “employees”—a question that has recently been the subject of substantial litigation and extensive treatment within the executive branch and the scholarly literature. In 1800 black Loyalists in Sierra Leone participated in an event that historians have called a rebellion. Reinterpreting the 1800 rebellion as a food riot reveals more extensive black Loyalist political activity in the 1790s, greater cooperation between black Loyalists and white councilmen, and increased animosity between black Loyalists and Africans. Black Loyalists created food legislation with the approval of the Sierra Leone Council, but those laws fostered disagreements with Africans. When the Sierra Leone Council revoked the black Loyalists’ law-making abilities, colonists rioted to reclaim the political and legal rights that they developed through their food legislation. One of the major branches of the field of law and literature is often described as “law as literature.” Scholars of law as literature examine the law using the tools of literary analysis. The scholarship in this subfield is dominated by the discussion of narrative texts: confessions, victim-impact statements, and, above all, the judicial opinion. This article will argue that we can use some of the same tools to help us understand non-narrative texts, such as law codes and statutes. Genres create expectations. We do not expect a law code to be literary. Indeed, we tend to dissociate the law code from the kind of imaginative fiction we expect to find in a narrative text. This article will take a historical example, the medieval Icelandic legal manuscript known as Konungsbók, and examine it for its fictional elements. This article will examine Konungsbók for the ways in which it creates an imagined world, populated by free, equal householders, a world that was very different from the Iceland in which its creator lived. Its creator may have created it less to tell his reader anything about the law as it stood in thirteenth-century Iceland than as an elegy to a world he thought he had lost. It therefore stands as a testament to the law code’s literary potential. In Ownership Paradigms in American Civil Law Jurisdictions, Agustín Parise assists in identifying the transformations experienced in the legislation dealing with ownership in the Americas, thereby showing that current understandings are not uncontested dogmas. 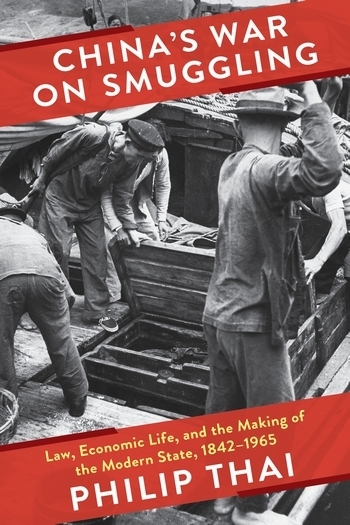 This book is the result of research undertaken on both sides of the Atlantic, and covers the 16th to 20th centuries. Agustín Parise offers readers a journey across time and space, by studying three American civil law jurisdictions in three successive time periods. His book first highlights the added value that comparative legal historical studies may bring to Europe and the Americas. It then addresses, in chronological order, the three ownership paradigms (i.e., Allocation, Liberal, and Social Function) that he claims have developed in the Americas. The American Society for Legal History will host a Student Research Colloquium (SRC) on Wednesday, Nov. 7, and Thursday, Nov. 8, 2018, immediately preceding the ASLH’s annual meeting in Houston, Texas. The SRC annually enables eight Ph.D. students and law students to discuss their in-progress dissertations and articles with distinguished ASLH-affiliated scholars. This year, the Department of History at Rice University will host the event. The SRC’s target audience includes early-post-coursework Ph.D. students and historically minded law students. The colloquium seeks to introduce such students to legal history, to each other, and to the legal-historical scholarly community. Students working in all chronological periods, including ancient and medieval history, and all geographical fields, including non-U.S. history, are encouraged to apply, as are students who have not yet received any formal training in legal history. Applicants who have not had an opportunity to present their work to the ASLH are particularly encouraged to apply. A student may be on the program for the annual meeting and participate in the SRC in the same year. Each participating student will pre-circulate a twenty-page, double-spaced, footnoted paper to the entire group. The group will discuss these papers at the colloquium, under the guidance of faculty directors. The ASLH will provide at least partial and, in most cases, total reimbursement for travel, hotel, and conference-registration costs. a letter of recommendation from a faculty member, sent separately from, or together with, the other materials. Organizers will notify all applicants of their decisions by August 15, 2018. Please direct questions and applications to John Wertheimer at: srcproposals@aslh.net. In 2018, the William Nelson Cromwell Foundation will make available a number of $5,000 fellowship awards to support research and writing in American legal history by early-career scholars. Early career generally includes those researching or writing a PhD dissertation (or equivalent project) and recent recipients of a graduate degree working on their first major monograph or research project. The number of awards made is at the discretion of the Foundation. In the past several years, the trustees of the Foundation have made five to nine awards. Scholars who are not at the early stages of their careers may seek research grants directly from the Foundation. For more information, see the Grants page. Application info here. This year's deadline is July 6, 2018. This paper examines the development of India's statutory and constitutional rules to forestall improper police practices designed to compel self-incrimination. Focusing on the period between 1861 1961, it describes how the judiciary consistently limited the potential of this legal framework to police the police. This was due to the choice of interpreting the rules as a means to ensure reliability of evidence, rather than as safeguards for defendants against police abuses. These widely-held judicial attitudes in colonial courts influenced the interpretation of independent India's constitutional ban against compelled self-incrimination as well. This paper attempts to explain why the Supreme Court chose to adopt a restrictive view of that protection, contesting its legal sufficiency but suggesting that, perhaps, that choice was forced upon a nascent Court which had to pick its battles. The idea that Congress can legislate only on the basis of its enumerated powers is an orthodox proposition of constitutional law, one that is generally supposed to have been recognized as essential ever since the Founding. The idea that that proposition has always been fundamental is reinforced by a conventional understanding of several episodes in constitutional history. But reality of many of those events is more complicated. Consider the 1791 debate over creating the Bank of the United States, in which Madison famously argued against the Bank on enumerated-powers grounds. The conventional memory of the Bank episode reinforces the sense that the orthodox view of enumerated powers has been fundamental, and agreed upon, from the beginning. But in 1791, Members of the First Congress disagreed about whether Congress needed to point to some specific enumerated power in order to create the Bank. Moreover, Madison’s enumerated-powers argument against the Bank seems to have involved two rethinkings of Congress’s enumerated powers, one about the importance of enumeration in general and one about the enumeration’s specific application to the Bank. At the general level, Madison in the Bank debate elevated the supposed importance of the enumerated-powers framework: in 1787 he had been skeptical that enumerating congressional powers could be valuable, but in the Bank debate he described the enumerated-powers framework as essential to the Constitution. At the particular level, Madison’s enumerated-powers argument against the Bank seems to have been an act of last-minute creativity in which he took constitutional objections which sounded naturally in the register of affirmative prohibitions, but which the Constitution’s text did not clearly support, and gave them a textual home by translating them into the register of enumerated powers. Madison’s move may have set a paradigm for enumerated-powers arguments at later moments in constitutional history: subsequent enumerated-powers arguments down to those against the Affordable Care Act might be best understood as translations of constitutional objections best expressed in terms of affirmative prohibitions, forced into the register of enumerated powers because the relevant prohibitions are not found in the Constitution. The Projects and Proposals Committee of the American Society for Legal History exists to encourage new initiatives in the study, presentation, and production of legal historical scholarship and in the communication of legal history to all its possible publics and audiences. It is the mission of the committee to find ways to bring talented new voices into our field, to encourage novel forms of scholarly interchange, to support pedagogical experiments in legal history, and to seed new forms and venues for public history. The Board of Directors of the American Society for Legal History has asked the Committee to offer particular encouragement to two arenas for growth in the field. First, we have been asked to help internationalize legal history, by which we mean both to support ways to widen the study of legal history beyond its core Anglo-American base and to bring a global array of scholars and students of legal history into conversation with one another. And second, we have been asked to find ways to bring a younger generation of scholars and students into the field. But beyond those particular arenas for initiative, we encourage proposals that are engaged both with what may seem to be “traditional” subjects in legal history and ones that move off in nontraditional ways. In the past, we have supported conferences (including the costs of bringing participants together, who could not afford to come otherwise), and we have supported internationalizing exchanges. We would consider subventions of scholarly publications or of museum exhibits or pedagogical experiments or of any number of other collective pursuits. We do not support individual research projects. Nor will we recommend for funding projects that have already been funded at the recommendation of the committee three times. We are not a funding source for ongoing and recurrent activities of the field or of the Society. Most of the projects we have supported have been in the 4000 to 6000 dollar range. Ordinarily, we would expect that projects would have other institutional collaborators and/or cosponsors (including home universities). Proposals may come from educational institutions or from informal groups or networks of individuals. In most cases, someone involved in the proposal will be a member of the Society. We issue a yearly call for proposals. That call will be sent to all members of the American Society for Legal History later in July 2018. Our deadline for receiving applications will be September 17, 2018. The committee will then review the proposals, with the goal of recommending a list to the Board of Directors of the Society in preparation for their meeting in November 2018. Our application form is relatively informal [and appears after the jump]. And if you have any questions, please write to Hendrik (Dirk) Hartog, at hartog@princeton.edu. The ASLH Budget Application is after the jump. Just a reminder that June 30, the deadline for registering for the two upcoming seminars, is fast approaching. The two are Legal Thought in an Age of Fracture, led by Robert W. Gordon, Stanford Law School, and Daniel T. Rodgers Princeton University, and Antislavery Constitutionalism, led by James Oakes, Graduate Center of the City University of New York. In Making Manslaughter, Susanne Pohl-Zucker offers parallel studies that trace the legal settlement of homicide in the duchy of Württemberg and the imperial city of Zurich between 1376 and 1700. Killings committed by men during disputes were frequently resolved by extrajudicial agreements during the late Middle Ages. Around 1500, customary strategies of dispute settlement were integrated and modified within contexts of increasing legal centralization and, in Württemberg, negotiated with the growing influence of the ius commune. Legal practice was characterized by indeterminacy and openness: categories and procedures proved flexible, and judicial outcomes were produced by governmental policies aimed at the re-establishment of peace as well as by the strategies and goals of all disputants involved in a homicide case. A few items came to our notice too late for our Saturday Weekend Roundup, so here is an addendum. In The Globe and Mail, James Phillips, University of Toronto, observes that historians are wish to have discussions among the justices of Canada’s Supreme Court closed for some time to ensure that the justices don’t self censor, but fifty years? Michelle Johnson, Wisconsin Public Radio, in WisContext on How 5 Wisconsin Supreme Court Cases Forged The State’s Legal Order. Feel free to send us your “Top Fives” for other State Supreme Courts! Time Magazine asked seven historians for suggestions of people for President Trump to pardon. We agree with the NFL players that taking up the president's suggestion risks obscuring the need for a systemic response to mass incarceration, but if you’d care to see the historians’ choices, they’re here. H/t: Mary Bilder. Friend of the Blog Patrick S. O’Donnell has a new bibliography, on the ethics, law, and politics of immigration and refugees. Over at the Faculty Lounge, Eric Muller comments on Steve Vladeck’s tweeted alert that the "Defense Department submitted a brief to a military commission favorably citing and extensively quoting Hirabayashi v. United States, 320 U.S. 81 (1943)." Professor Muller calls this "a fateful moment," in which a lamentable precedent threatens to escape the "anti-canon." DOD quoted Hirabayashi for the proposition that “The war power of the national government is ‘the power to wage war successfully.’” That internal quotation is to an essay by Charles Evans Hughes, in which the once and future member of the US Supreme Court insisted that the United States could fight a total war while remaining under the Constitution. (Matthew Waxman, Columbia Law School, has written the indispensable article on the essay.) So far as I can tell from the reproduced portion of the DOD brief, it argued for unreviewable discretion in military officials in wartime, which was nearly the opposite of Hughes's position. From the Los Angeles Times: an op-ed by Kristin Collins (Boston University Law), Serena Mayeri (Penn Law), and Hiroshi Motomura (UCLA Law). They bring a historical perspective to bear on current immigration policy and the family separations occurring at the U.S.-Mexico border. From History News Network, a roundup of commentary on Juneteenth. From the Washington Post's "Made by History" section: Allison K. Lange (Wentworth Institute of Technology) on the Equal Rights Amendment - is it on "the verge of a comeback"? ; Also Lauren MacIvor Thompson (Kennesaw State University) and Lina-Maria Murillo (University of Iowa) on "The Trump Administration's Assault on Contraception"; Christian Hosam (New America) on "The Supreme Court's long war against voting rights." From the New York Times: Annette Gordon-Reed (Harvard Law) on a new exhibit at Monticello, in which "Sally Hemings Takes Center Stage." Now available from the DC Public Libraries: over 600 images documenting the 1968 Poor People's Campaign. 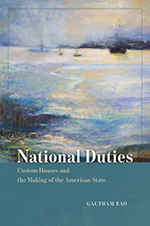 Aaron T. Knapp reviews former LHB Guest Blogger Gautham Rao’s National Duties in the latest issue of Law and Social Inquiry. Coming up: a workshop on "Cultural Expertise in Ancient and Modern History," convened by Livia Holden at Oxford's Centre for Socio-Legal Studies, July 4-5, 2018. Participants will explore dispute resolution and cultural expertise in legal history, while also tracing the historical development of recent trends in cultural expertise. More here. And later this summer: a 900-year commemoration of the first Icelandic laws, the Hafliðaskrá, at the 17th International Saga Conference in Reykjavik and Reykhold (Aug.12-17, 2018). Otto Vervaart has a handy overview at his Rechtsgeschiedenis Blog. As anyone who knows Balleisen’s work would expect, Fraud is exceptionally researched, observant, thoughtful, and rendered in charming prose. Fraud spans the familiar legal silos to provide a sweeping history of different varieties of fraud, and their regulation. This is useful, and the book works because of Balleisen’s disciplined focus on his core questions—how fraud manifests, how regulatory anti-fraud strategies have evolved across time, how and when industry self-regulation has intervened to control it, and how judicial institutions and processes have influenced anti-fraud efforts. 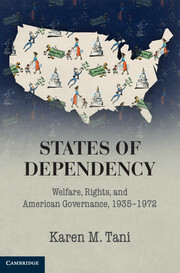 The book examines a recurring toggle between interventionist and laissez-faire regulatory approaches; the venerable, if inconsistent and imperfect, tradition of industry self-regulation; and the seemingly perennial link between influence (or lack thereof), and punishment (or lack thereof). It makes a remarkable contribution to our understanding of how fraud and its regulation have evolved thus far, and the conditions out of which our current regulatory models developed. This article examines the development of the concept of recognition in the writings of British jurists. It first outlines methodologies of conceptual history as applied to international legal concepts, before examining four strands of development of the concept of recognition from the mid-nineteenth to mid-twentieth centuries. 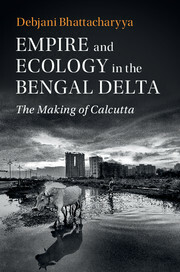 It shows how the concept of recognition moved from examining intra-European diplomatic disagreements, to a focus on Christianity, civilisation and progress that barred non-European communities, to a late colonial-era emphasis on technicalities of government and territory, and eventually a state-centric account that normalised inferiority into difference, before emerging in the interwar period as a ‘basic concept’ of international law: intensely debated and closely tied to a range of political projects. The article concludes with reflections on why British thinking turns away from recognition in the 1950s, as the decolonising world turns to a new international law and self-determination. In the Shadow of Vitoria: A History of International Law in Spain (1770-1953) offers the first comprehensive treatment of the intellectual evolution of international law in Spain from the late 18th century to the aftermath of the Spanish Civil War. Ignacio de la Rasilla del Moral recounts the history of the two ‘renaissances’ of Francisco de Vitoria and the Spanish Classics of International Law and contextualizes the ideological glorification of the Salamanca School by Franco’s international lawyers. Historical excursuses on the intellectual evolution of international law in the US and the UK complement the neglected history of international law in Spain from the first empire in history on which the sun never set to a diminished and fascistized national-Catholicist state. Table of Contents after the jump. Fernandez on Winston, "Lawyers at Play"
Winston’s book argues that the interconnections among literature, law, and politics at the Inns of Court are best explained by the increase in law-related positions in the growing administrative state in early modern England and the connection contemporaries made between literary skills and fitness for these jobs. Lawyers at Play elegantly traces the way that a group of individual men at the Inns in the 1550s and 1560s used the skills they learned at grammar school in poetry-writing and in translating plays and other works to recommend themselves for those new positions. Rather than focusing on the literary stars of the Inns from the 1590s and 1600s such as William Shakespeare, Winston shifts the focus to an earlier time period. These relatively unknown individuals, unknown at least to those who are not literary scholars of Renaissance England, set the stage, as it were. historians should know more about. 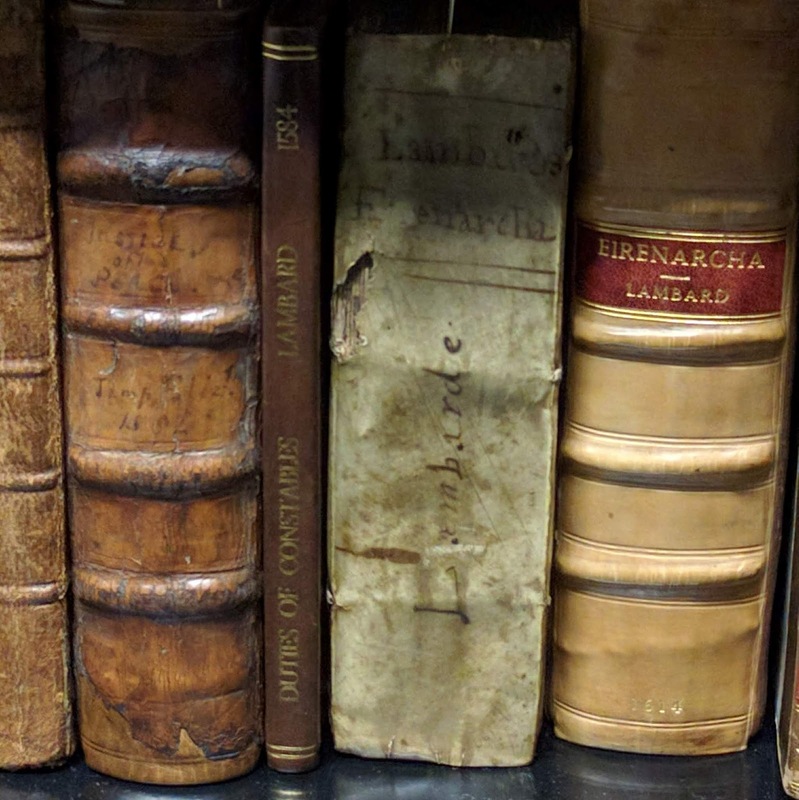 Designed for librarians, scholars, and collectors, the “Law Books: History and Connoisseurship” course took place at Yale Law School last week (June 11-15, 2018). It was taught by Mike Widener, Rare Book Librarian at the Lillian Goldman Law Library, Yale Law School, and Ryan Greenwood, Curator of Rare Books and Special Collections at the Riesenfeld Rare Books Research Center, University of Minnesota Law Library. This LHB blogger (Mitra Sharafi) took the course. I’m happy to report on its many wonders. I was the only legal historian in the group of twelve participants. Everyone else was a librarian, whether based at a law library, special collections, or both. When I first heard about the course, I had doubts about how useful it might be for me, given my focus on research and teaching more than on managing collections. Happily, I was wrong to worry. It was fascinating and extremely useful to gain insights into the ways university special collections operate. Among other things, I gained a better sense of which law libraries in the US are actively collecting rare books in various research areas. The winner will be awarded a $500 cash prize and the paper will be published in the Journal of Supreme Court History. The recipient will be awarded the prize at a ceremony in the Supreme Court Courtroom on the first Monday in June. Past winners of the Hughes-Gossett Student Prize after the jump. A noticeable trend of late is a growing engagement between insights across the field of “law and development” and a body of work that probes the relationship between law and governance at levels and scales that transcend that of the nation state, through instruments of rule that include and challenge inherited understandings about the nature and content of “law” and “legality”. At the same time, critical attention is being paid to the politics of ideas about development and the ways that particular kinds of development are promoted that underpin and direct this engagement. 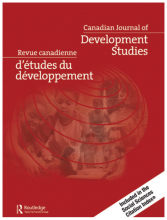 This bilingual Special Issue of the Canadian Journal of Development Studies seeks to bring these perspectives together to explore the underlying paradoxes, synergies and gaps in the governance of development initiatives pursued by a variety of actors. Through a mix of empirical, conceptual and normative work, it aims to reveal connections between institutional arrangements and instruments of governance on the one hand, and the politics of the projects pursued through the rubric of development, on the other. The approach taken thus helps foster deeper insight on the political ramifications of the role ascribed to law and legality in the governance of development. Sarah Seo, University of Iowa College of Law, has posted Democratic Policing Before the Due Process Revolution, which is forthcoming in the Yale Law Journal. In 1952, Jerome Hall gave a series of lectures on “Police and Law in a Democratic Society.” Applying the methodologies of intellectual and cultural histories, this Essay traces how Hall’s concept of democratic policing shifted from self-rule, to the rule of law, and finally to due process as he struggled to account for twentieth-century police forces that were not, in important ways, governed by the people or constrained entirely by law. That is, Hall modified his ideas of democracy to accommodate the police, rather than the other way around, with the police having to change in accordance with democratic principles. By placing the lectures within the context of the Cold War, the Essay argues that due process was not just a legal norm, but also a cultural value that rationalized discretionary policing at a time when it smacked of totalitarianism and, at the same time, served to distinguish two competing systems of government that both relied on discretionary authority. The Essay concludes by exploring how Hall’s explication of due process, which was representative of midcentury understandings, necessarily revises prevailing interpretations of due process as a restraint on police discretion, thus bringing new light to the Warren Court’s due process revolution. This book explores the relationship between the justice system and local society at a time when the Industrial Revolution was changing the characteristics of mid Wales. Crime, Courts and Community in Mid-Victorian Wales investigates the Welsh nineteenth-century experiences of both the high-born and the low within the context of law enforcement, and considers major issues affecting Welsh and wider criminal historiography: the nature of class in the Welsh countryside and small towns, the role of women, the ways in which the justice system functioned for communities at that time, the questions of how people related to the criminal courts system, and how integrated and accepting of it they were. We read the accounts of defendants, witnesses and law- enforcers through transcription of courtroom testimonies and other records, and the experiences of all sections of the public are studied. Life stories – of both offenders and prosecutors of crime – are followed, providing a unique picture of this Welsh county community, its offences and legal practices. This article explores and analyzes the fourth century Chinese legal official and legal scholar Liu Song’s (d. 300) theory of adjudication through a full translation into English (the first translation of its kind) of his famous “Memorial on Adjudication,” which urged judicial and legal reforms during the reign of Emperor Hui (r. 290–306) of the Western Jin dynasty (265–316). This article argues that Liu believed that written law should reign supreme over other factors (e.g., societal needs, public opinion) in adjudicating cases. He was also one of the first major Chinese legal thinkers to explicitly set forth what we would today call the “legality principle.” But while Liu’s theory of adjudication was centered on written law, it was also motivated by a desire to control the power and discretion of judicial officials and preserve the authority of the emperor. Liu’s theory of adjudication is significant in the history of Chinese legal thought as it runs counter to the so-called “qing-li-fa” (QLF) theory of adjudication, which has strongly influenced contemporary theoretical accounts and descriptions of traditional Chinese law as a whole. This article also briefly considers Liu’s theory in a comparative legal theory perspective, arguing that Liu’s theory is different from key Western theories on adjudication— namely, Hart’s and Dworkin’s theories of adjudication with respect to hard cases. Finally, this article also briefly discusses the relevance of Liu Song’s legal thought to 21st century Chinese law, given the current Chinese leadership’s penchant for using traditional Chinese political and legal philosophy as sources and justifications for government and administration. This article suggests that Liu Song is a figure whose legal thought could be equally palatable to rule of law reformers and more conservative party officials in China today. We're delighted to report that recent guest blogger Ronit Stahl will join the faculty this fall at the University of California, Berkeley. She will be an Assistant Professor of History, as well as a member of the Religious Diversity Cluster of the Haas Institute for a Fair and Inclusive Society. As readers of this blog know, Stahl's work focuses on the intersection of politics, law, and religion. She is the author of Enlisting Faith: How the Military Chaplaincy Shaped Religion and State in Modern America (Harvard University Press, 2017), which explores how the U.S. military "struggled with, encouraged, and regulated religious pluralism over the twentieth century." Congratulations to Ronit Stahl and to Berkeley! Anders Winroth has been named the Birgit Baldwin Professor of History at Yale University. More. The latest congressional briefing organized by the National History Center is on the history of U.S. trade policy. It will take place Friday, June 29, 2018 from 10:00 am-11:00 am in Cannon House Office Building, Room 121. "The president's tariffs on steel and aluminum imports and threats to impose other protectionist measures have sparked renewed controversy over US trade policy. But debates over free trade versus protectionism have a long history in the US. How can the history of US trade policy help us to understand the current administration's trade agenda?" The speakers will be Susan Aaronson, George Washington University, and Alfred Eckes, Jr., Ohio University. The moderator: Marc Levinson of the Congressional Research Service. RSVP here. “Virginia Humanities’ award-winning public radio show With Good Reason has partnered with James Madison’s Montpelier to produce a five-part podcast series that will explore connections between constitutional history and contemporary issues, with an emphasis on the First Amendment.” More. Just out online from Law and History Review: Lawless Wars of Empire? The International Law of War in the Philippines, 1898–1903, by Will Smiley. The Editorial Committee of Interpretatio Prudentium: Roman Law and Roman Legal Tradition in Review (IP), biannual scientific publication, submitted to blind peer-review, edited by Teoria e História do Direito - Centro de Investigação da Universidade de Lisboa, within the line of research Tradição romanística em acção. As experiências de língua portuguesa, has the pleasure of offering to the library of your department of the first two issues of IP. For that purpose, we ask you if you could as kind as to indicate an address which we can send the copies to. IP's subscription can be made through [here]. On this occasion, we would also wish to communicate that until 15 September 2018 we are admitting papers (monographs or reviews to recent publications), to be published in IP's second number of 2018. Although a member of the Supreme Court at the time, Benjamin Cardozo did not participate in Erie Railroad Co. v. Tompkins. He was dying. It is a mere fortuity that Cardozo’s death coincided with the death of the general common law. Yet it has since proved to be something more—or so this symposium essay argues. 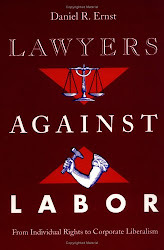 It is in part because our highest court took itself out of the business of making law in contract, property, tort, and related areas that Cardozo’s beloved common law has fallen on hard times, and that even state-court judges have increasingly lost their feel for how to reason about it. Today, there is no member of a state judiciary who rivals Cardozo in stature. Mainly this is a testament to his extraordinary gifts. But it also reflects the waning of the common law in the United States, and a concomitant loss of the sense of what it means to be a great common-law judge. Since the early twentieth century, labor unions have lobbied federal and state governments to enact and enforce laws requiring government contractors to pay “prevailing wages” to employees on public works projects. These laws, currently active at the federal level and in approximately thirty states, typically in practice require that contractors pay according to the local union wage scale. The laws also require employers to adhere to union work rules. The combination of these rules makes it extremely difficult for nonunion contractors to compete for public works contracts. Meanwhile, construction unions have been among the most persistently exclusionary institutions in American society. Not surprisingly, in many cases, the history of prevailing wage legislation has been intertwined with the history of racial discrimination. Economists and others argue that prevailing wage legislation continues to have discriminatory effects on minorities today. Union advocates, not surprisingly, deny that prevailing wage laws have discriminatory effects. More surprisingly, they deny that the granddaddy of modern prevailing wage legislation, the federal Davis-Bacon Act of 1931, had discriminatory intent. Part I of this Article discusses the discriminatory history of the most significant of all prevailing wage laws, the Davis-Bacon Act. As discussed below, Davis-Bacon was passed with the explicit intent of excluding African American workers from federal construction projects, and its discriminatory effects continued for decades. Part II of this Article discusses the controversy over whether prevailing wage legislation continues to have discriminatory effects. The section begins with a discussion of the empirical literature on the effects of prevailing wage discrimination on minority employment. The section next presents evidence that construction unions continue to discriminate against members of minority groups, albeit much more subtly than in the past. The section concludes by recounting allegations that prevailing wage legislation serves to exclude minority contractors from obtaining government contracts. On 6 and 7 September 2018, the international symposium Jhering Global will be held in Hanover (Germany), marking the 200th anniversary of Rudolf von Jhering’s birth in 1818. It is organized by Professors Inge Kroppenberg (Georg August University Göttingen) and Stephan Meder (Leibniz University Hanover). Jhering Global’s main intention is the development of a broad research perspective, both international and interdisciplinary, on the scientific work of Rudolf von Jhering (1818-1892). There is hardly a legal scholar whose work would be more suitable for this kind of research proposal than Jhering, whose impact on the fields of jurisprudence and social sciences was so lasting and fruitful and whose works are still being translated into many languages, even today. Jhering Global’s purpose is twofold. Firstly, it will aim to explore the trajectories of Jhering's scientific ideas over the course of the past 150 years across Europe, the Americas and Asia. In order to achieve this, it calls on eminent legal scholars from several continents to present their perspectives on Jhering's work, and to bring different modes of reception to the table for discussion with scholars from Germany, Jhering’s native country. Thus, the conference will make a major contribution to exploring the history of the global transfer of juristic ideas from the 19th to the 21st centuries. Secondly, Jhering Global will take an interdisciplinary approach. Since Jhering's work did not only cross geographical borders but also transcended the boundaries between scientific disciplines, the symposium will examine its impact on the establishment and development of social and political sciences since the late 19th century. 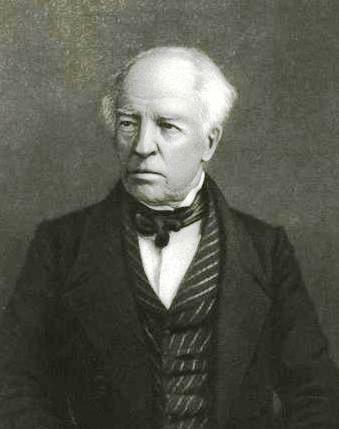 Here, Jhering’s numerous allusions and references to the natural sciences, especially chemistry, will play a crucial role. The PhD in Global History and Governance is an advanced research degree at the end of which each student must defend a dissertation based on independent and original academic research. The course offers a multi-disciplinary training program based on history and law and open to contributions from other disciplines, such as economics, political science and political philosophy. The program focuses on the comparison, connections and processes of globalization that have characterized different areas of the planet since the first epoch of global imperialism and does so by focusing on the relational dimension of historical processes, legal regimes and the organization of power, on the interdependencies between economic, political, juridical, cultural and social factors and on the circulation, exchange and interconnection of ideas, people, institutions, legal cultures, political models, concepts, rights and goods on a global scale. The PhD course in Global History and Governance is designed for highly prepared and motivated students who also manage different languages and willing to study in multi and interdisciplinary environment. Classes are taught either in Italian or English. Candidates for the PhD are normally expected to hold a master’s degree (or an equivalent qualification) in a subject relevant to the intended topic of study. The Coordinator is Daniela Luigia Caglioti and the PhD Board for 2018-2019 is here. The deadline for applying is August 24, 2018. A Symposium on Gordon's "Taming the Past"
Libson's "Law and Self-Knowledge in the Talmud"